I've been with my new partner now for 10 months. I feel like it has been a whirlwind of a beginning. He has had a lot of problems dealing with his ex-partner and his two kids with her. Their constant fighting has taken its toll on our beginning. Then to really rock us, there was the passing of his youngest brother. This was by far the hardest on our relationship. Don't get me wrong he was so sweet, loving and caring toward me. But once his brother passed, the anger took over. He has always mentioned he had anger issues in the past that he had worked on far before us. But I've never seen such anger in him until he lost his brother. I became the easy target. I coped with all of the mean words and aggression because I knew he wasn't himself. But here we are 4 months since his brother's passing, and it just seems like the anger won't disappear. He constantly belittles me, dismisses my feelings or thoughts. He shuts me down and doesn't take anything I say or feel seriously. It’s so hard to distinguish if this is who he has always been, or if it is just his grief. I feel I have been robbed of my honeymoon period of getting to know one another. So much has happened in 10 months, I am starting to doubt who I am anymore. Should I keep trying to ride this hard year out with him, even though it is taking an emotional toll on me? I just want the anger to stop. Comments for Signs Of Emotional Abuse In A New Relationship? Hi Jenna, and thanks for telling your story here. You are right about how sometimes anger can result from grief, but that in no way justifies or excuses how your partner is treating you. You are being abused, and your focus needs to be on that fact. If your partner truly loved you, and if he was a healthy person, he would seek professional help for himself and his anger, and he would not be taking it out on you at all. 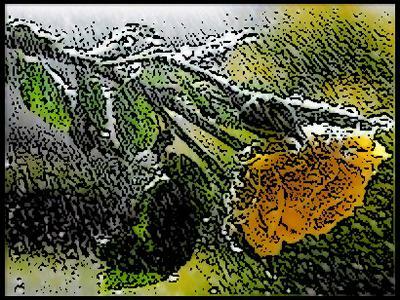 While it is still early in your relationship, you are already in a battered woman syndrome, being abused, continuing to take it, and hoping it will change. Unless you are both in intensive therapy, individually and together, you need to be apart...for your safety. In your own words, "I am starting to doubt who I am any more." 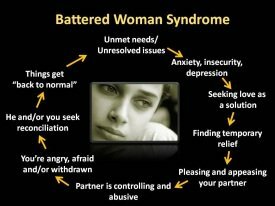 That is one of the symptoms of being a "battered" woman, which can happen just as easily from emotional abuse as from physical abuse. Make up your mind to love yourself enough to take care of yourself -- by choosing to only be with people who treat you with kindness and respect all of the time. Nothing less is acceptable. You are the only person who can take care of you, Jenna. Believe in yourself, and take action right away, if you haven't already, to ensure your emotional and mental safety. I wish you all the best as you move toward healthy relationships.